Call for Papers for Film and History area for the NEPCA’s 2018 Fall Conference to be held at Worcester State University in Worcester, MA October 19-20, 2018. 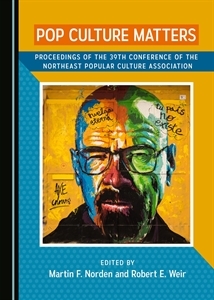 Northeast Regional Popular / American Cultural Association (NEPCA) annual conference. Call for Papers: Film and History. The annual fall conference of NEPCA will be held at Worcester State University in Worcester, MA on October 19-20, 2018. Deadline for proposals is June 1, 2018. Visit the NEPCA website at: https://nepca.wordpress.com/2018-conference for full information on proposal submission and registration. Please submit your paper proposals by following the 2018 Paper Proposals link at: https://nepca.blog/2018-conference by June 1, 2018.